Make life a little easier for yourself when students finish tasks before others with this good idea from teachingwithsimplicity.com. 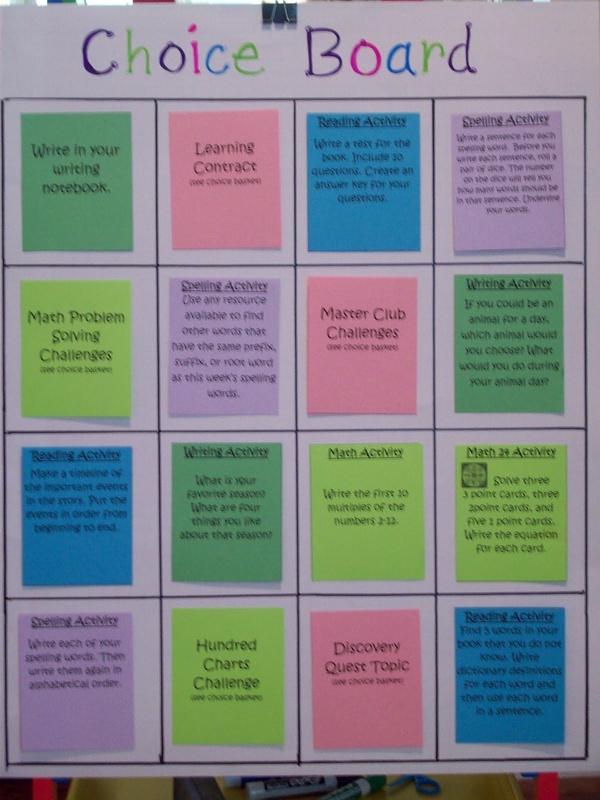 Create a choice board that is colour coded for particular activities or subjects which allows the students to choose an additional activity for extension. During the year if you spot ideas or resources for extension then keep them together to build an extension bank that students can access in the sessions and psychologically because they’re choosing what to do themselves they will see it more as a reward as opposed to punishment for finishing early.